Wanted to share and Eastern Beauty Card I made using the Eastern Beauty Bundle. This Bundle is amazing and more! So may possibilities and combinations for you, it's incredible. Did you check out the little snippet of DSP at the bottom with the gold? It don't take much to add a little "pop" to your card. 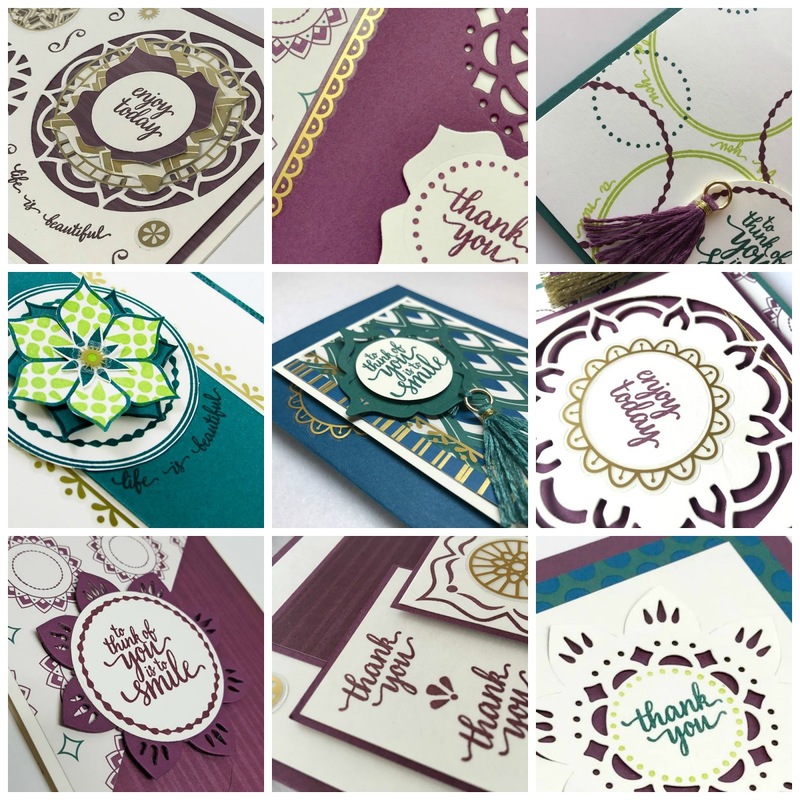 Here is the best part...even though this set is in the New Stampin' Up! Catalog you can order it as a Sneak Peek starting today. How fab is that? Two different Bundles to choose from and when you order them through me you will get an extra bonus of 25 project sheets using this fabulous Bundle. Pretty Exciting! Please use Hostess Code X6TZ6RZS when ordering. Click here to be directed to my online store visit www.stampingleeyours.stampinup.net.....have a great day...hope you get to stamp something fun today. Click above to shop now to be directed to my store.